You are in the market for a dog groomer. Maybe your old groomer retired or you just can’t seem to find one. Either way, it is important to find the right expert for the job. Unfortunately, when it comes to our beloved canine family the task may seem quite daunting. If so, keep reading to learn some tips on how to make your groomer search a little easier. One of the easiest ways to find a good dog groomer is to speak with friends. Contact friends who have dogs and regularly visit a groomer and ask who they go to for their grooming needs. If you have a groomer but they are retiring, ask for a referral. 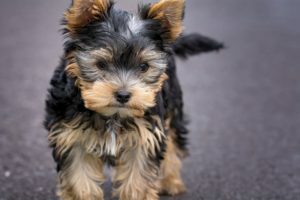 You can also ask the pet care professional you get your pup’s NuVet Plus wafers or powder from or another dog care professional in your pup’s life – such as your veterinarian, dog trainer or dog walker – for a suggestion. With their ample, day-to-day dog experience one of these resources is sure to have a recommendation or two. 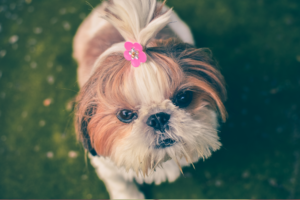 Once you’ve received a few recommendations for reputable dog groomers, it is time to move on to the next step. Reaching out. Don’t be afraid to give them a call and confirm their experience. Find out how many years they have spent working with and grooming dogs. Also, don’t be afraid to ask for references. A dog groomer who has established their business and clientele may be open to sharing positive feedback from other clients. Currently, there are no states that require a dog groomer to be licensed. However, there are professional dog grooming organizations out there that many dog groomers choose to belong to. This not only helps establish their credibility but also shows that professionalism is a priority to them. One such organization is the National Dog Groomers Association (NDGA). In order to become a member, groomers must pass a series of tests regarding hygiene, safety, proper handling and canine anatomy. If you can’t locate their certification hanging on the wall, don’t be afraid to ask to see it. Before your initial visit, stop by the shop during a normal business day and check it out. Observe how the dogs are being treated, as well as how the dogs are responding to the groomer. Note cleanliness and any strange or unpleasant smells that might suggest a lack of hygiene. The shop should be well maintained, well lit and safe. You can also take this time to bring your dog for an introductory visit to meet the groomer and become familiar with the shop. Once you have found a groomer and the time has come to drop Fido off, keep goodbyes quick. By doing this you help to keep your dog’s stress level low, which will ultimately make the visit run more smoothly. You don’t want your dog to think a trip to the groomer is negative in anyway, which could happen if he gets stressed out. Any dog groomer you allow to work on your dog should request proof of up-to-date vaccination records from you. Because many dogs pass through the doors of a grooming salon, their is potential for canine bacteria to be passed onto your pooch. Also, if you suspect your pup may be under the weather, postpone your grooming visit. Feeding your furry friend a high quality diet and a nutritious supplement, like NuVet Plus, can help keep your pet feeling his best. Never hesitate to trust your or your dog’s instincts. If something doesn’t sit well with you during your visit, or Fido seems particularly agitated, then maybe this isn’t the groomer for you. A pre-grooming visit can help you determine how things might go. Just like having a trusted and experienced groomer in your network of pet care professionals is important, so is good pet nutrition. This is why we created NuVet Plus. Comprised of human-grade ingredients and manufactured in an FDA registered lab, dog owners everywhere are using NuVet Plus to help maintain good health in their dogs. If you would like to discover how NuVet Plus has improved the quality of life for dogs everywhere, please visit NuVet reviews on Facebook. The best part of having a cat is being able to spoil her with affection and cat-centric products. 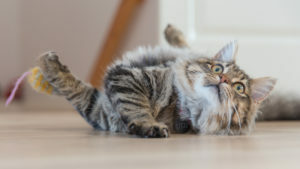 Your pet’s best friend, NuVet Labs, listed just some of the cool cat stuff available for your cat this holiday season. Everything from exercise, to feeding, to entertaining Fluffy from afar is covered below. Continue reading to learn more about 5 popular items that you can pick up for that special cat in your life. If you’re worried your cat is bored or depressed while you are away from home then worry no more! With the Cat Exercise Wheel, you can be sure your cat is being mentally and physically exercised. A happy cat is a cat that gets into less mischief, which is why the Cat Exercise Wheel is a great gift this holiday season. The cat exercise wheel is completely manual, allowing the cats momentum to move it forward. As a result, it helps our feline companions reduce stress and exert energy without destroying the house. Its only drawback may be its size, which is somewhat large. However, when you see how happy your cat is, that may not be a factor. When away from home, do guilty thoughts of your bored cat waiting alone for you take over? Well fret no more with Kittyo. Finally, you can check in with your cat throughout the day with Kittyo’s camera feature. Download the free app, connect to Wifi, and watch your kitty go! What makes Kittyo even more fun is that you can interact with your cat even if you are not physically there. If you see that your feline companion looks down, you can push a button to speak to your cat. You can go a step further and play with your kitty by using Kittyo’s built in laser pointer that you can control from your smart phone. You can even reward you kitty for a game well played with treats that are dispensed from the Kittyo device. So the next time you’re worried Fluffy is feeling blue or is not getting enough mental or physical stimulation, use Kittyo to check in with some laser chase and a treat. NuVet is dedicated to improving the quality-of-life for cat’s everywhere, which is why we developed NuVet Plus feline formula. Especially formulated to meet the unique needs of cats, NuVet Plus for cats is a natural, human-grade powder that supports the health of your cat AND tastes great. As a result, we regularly receive testimonials from happy NuVet Plus families who share with us how NuVet Plus has drastically helped their cats feel and look better. If you would like to learn more about NuVet Plus, please visit https://nuvetonline.com/testimonials/. If there is one thing cats adore, it is a fresh source of water, which is why this unique raindrop-shaped stainless steel water dish is sure to become your cat’s favorite. Keep kitty’s water fresh with the Raindrop Drinking Fountain as it circulates and filters your cat’s water. This 60 oz. bowl is dishwasher safe, requires minimal care and uses a replaceable filter that can be found on the manufacturer’s web site. The stainless steel bowl helps protect your feline from bad bacteria while reducing the time you spend refilling Fluffy’s water. The Tiger Diner, like the Raindrop Drinking Fountain, is also from Pioneer Pet. The great thing about the Tiger Diner is that it taps into a cat’s natural inclination to “catch their food”. Now you can feed your cat while keeping her mentally and physically stimulated at the same time. Because Fluffy is working for her food, she is actually eating at a healthier speed. This easy to clean, dishwasher-safe food dispenser makes the perfect dish for any cat or kitten. Whether you want to spoil your feline companion, or need a gift for Fluffy to put under the tree, keep these cat-centric products in mind to help your cat stay stimulated and happy. There is a wide range of doggie shampoos available on the market these days, and choosing the right one to suit your four-legged family member’s needs can be extremely difficult. Imagine if you could formulate your dog’s own shampoo the way you want to, as much as you want and whenever you want. Fortunately for you, you can! Here is a DIY organic doggie shampoo recipe that you can easily follow at home! Why Make Your Own Organic Doggie Shampoo? There are several reasons that some people prefer to make their own doggie shampoo instead of buying commercially sold ones. For example, making your own organic shampoo can save time and money. The ingredients for the shampoo can be cheaply bought from the market and you can make as much as you want. Plus, you don’t have to take a trip to the pet store every time you run out. Another benefit of DIY organic shampoo is that you know exactly what the ingredients are and where they’re from. You can even adjust the ingredients to fit your dog’s needs. By making your own doggie shampoo, it is almost as if you have an unlimited supply of tailor-made shampoo for your canine companion at home. 1/2 cup organic liquid castile soap – made from olive oil, this gentle substance will serve as the base for your doggie shampoo. 1/4 cup organic apple cider vinegar – fights odor and repels fleas, keeping your pup smelling lovely. It also adds gleam to your dog’s fur. 1 tbsp. organic olive oil – this essential oil is conditioning. It also helps prevent your dogs hair from drying out. Organic lavender essential oil – Lavender has a calming property, which could be beneficial during bath time. It is also a natural tick and flea repellant. Organic eucalyptus oil – fights unwanted odor, fleas, ticks and can help soothe sensitive skin. Using a funnel, pour 1/2 cup of organic liquid castile soap into the squeeze bottle. Add the apple cider vinegar to the castile soap. Put in a tablespoon of olive oil. Put in 4 drops of lavender essential oil and 4 drops of eucalyptus essential oil to the mixture. Shake well. Make sure to shake before use because the ingredients tend to settle at the bottom of the bottle. Note: You can adjust the amount of the essential oils you put in the shampoo. You can play around with the ratio, depending on how you want it. If you want to add other essential oils, just make sure that it is safe for your pet and not to use too much of it. Wet your pup with lukewarm water and apply an ample amount of shampoo. This is not a tearless shampoo so avoid the eye area. Towel dry and groom Fido any way you want. Enjoy the rest of the day with a fresh-smelling and happier pup! It will be fun creating your own shampoo for your dog, especially if you can see how effective it is in keeping your pup’s coat beautiful and healthy looking. However, if you prefer to leave shampoo making to the professionals, Nuvet has various shampoo products. Some of the NuVet shampoo products include a hypoallergenic conditioning shampoo for dry skin, tearless puppy and kitten shampoo, soothing tea tree shampoo, and odor control pet shampoo. All of NuVet’s shampoo products are soap and detergent free so they will not extract crucial oils from your pet’s skin. Aside from keeping your pet’s fur in top condition, it is just as important to maintain their inner beauty. To do this, give them a nutritional pet supplement such as NuVet Plus. NuVet Plus helps keep your pet healthy from the inside out. NuVet Plus is made from natural ingredients and is manufactured in a FDA registered lab which is why more and more dog parents are choosing NuVet Plus for their pets. See what dog lovers have to say about NuVet products on NuVet’s Facebook page.